These three hidden benefits build a strong case for an equally strong roofing material. A homeowner doesn’t usually give much thought to the roof on his or her home until the worst happens and it’s time for repairs. So, under normal circumstances, “upgrade the roof” doesn’t sit toward the top of most homeowners’ to-do lists, which are usually crowded with curb appeal projects or energy-saving fixes—but maybe it should. 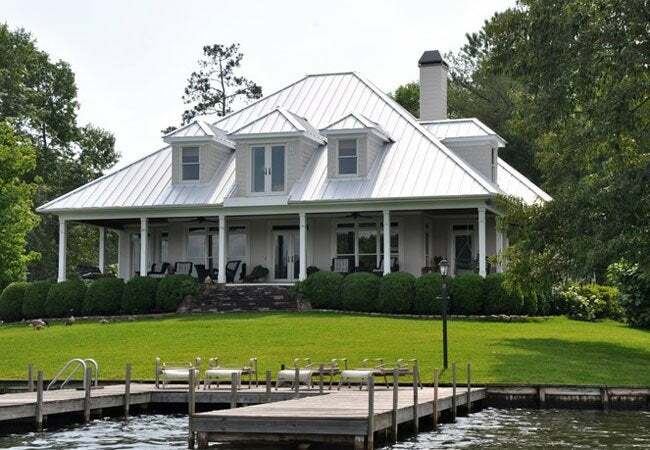 Modern metal roofing boasts numerous benefits, from its long, low-maintenance lifespan to the year-round energy savings it generates, that have made its use more attractive. Read on for just a few of the reasons why customers of American Building Components—one of the leading manufacturers of residential and agricultural steel products—select, install, and love their metal roofs. Gone are the days of “tin roofs” on barns, sheds, and shacks. Modern metal roofs are better engineered than ever before, promising even stronger shelter and a wider selection of colors, styles, and profiles. Roofing manufacturers like American Building Components offer panels in “Radiant Red,” “Hawaiian Blue,” “Desert Sand,” and more than two dozen other color options—a rainbow array to complement any style of building. Now that there’s no need to compromise curb appeal for durability, a metal roof can stay stylish for as many decades as it remains functional—and this is a significant span of time, as a properly installed, warranty-backed metal roof has the potential to outlast your lifetime. In fact, a recent study conducted by the Metal Construction Association determined that metal roofs last at least 60 years, a strong selling point for those homeowners who want their next roof to be the last one they’ll ever need, as well as those concerned about their home’s resale value later on. While a premium metal roof may incur a higher initial cost than other roofing materials on the market, the minimal maintenance it requires over its long lifespan saves homeowners a bundle. And then there’s the money this investment puts back into your pocket: From energy savings to tax credits, even potential insurance savings, this home upgrade starts to pay off immediately. 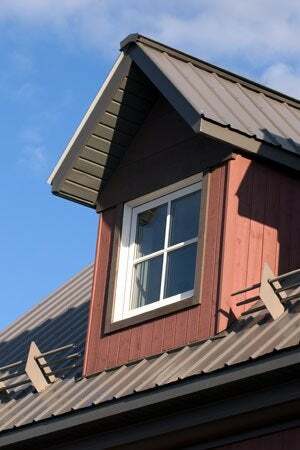 Metal roofing can have a significant impact on a home’s energy consumption, especially in the summer. Specially formulated paint pigments applied to the metal create “cool roofs,” or surfaces that reflect and emit the sun’s energy rather than soaking in the heat and trapping it in the attic. With cool roof technology available from suppliers like American Building Components, a homeowner could see energy savings of up to 40 percent, depending on the climate in his region. Additionally, because the cooling units in these homes don’t have to work as hard to keep interiors at a comfortable temperature, there is the potential to actually extend the lifespan of your air conditioner—ultimately saving you from shelling out extra money for a replacement. If that isn’t enough incentive, add to those yearly savings a one-time tax credit of up to $500 on Energy Star roofing materials purchased before the end of 2016. Then there’s the insurance-savings potential that comes from the roofing’s impressive durability during many types of natural disasters, including fires and hurricanes. After a 1991 firestorm in Oakland, California, wiped out more than 3,200 homes, one famous image depicted a lone house standing unscathed amidst a fire-razed neighborhood. What saved it? Its metal roof. Meanwhile, other roofs of asphalt and wood were lost to the tiniest of sparks in those arid conditions. Today, fire safety isn’t the only reason insurers love metal roofs. 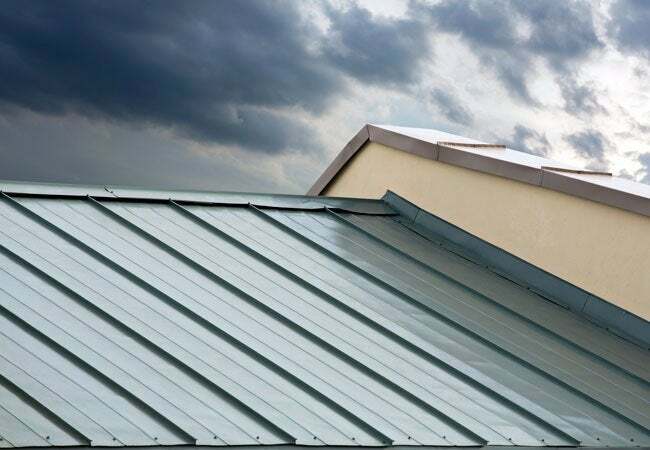 Engineered metal roofing, like that offered by American Building Components, stands up well to most inclement weather: snow, hail, even hurricane-force winds of up to 140 miles per hour. Ask your insurance broker about discounts for weather-rated, impact-resistant, and fire-resistant metal roofing. In some places, homeowners see a savings of up to 35 percent on their policy. A roof that fails midwinter under the weight of snow is every homeowner’s nightmare—except, that is, for a homeowner who sleeps underneath a metal roof. The winter months are when metal roofs work hardest. First, the sleek roofing material is designed with grooves that shed snow and sleet, thereby reducing the burden that a couple of feet of snowfall might otherwise put on a rooftop overnight. Additionally, snow guards can be used to break larger mounds of compacted snow into smaller piles to safely offload the icy precipitation. Then indoors, the metal structure and its insulating underlayment prevent heat loss, so the heating system doesn’t have to work as hard to keep the house toasty. If you’re looking into repairing or replacing your existing roof, consider saving yourself some long-term hassle—as well as a fair chunk of money every year—by investing in metal roofing panels. There’s no reason to delay. Make this the last time you ever worry about your home’s roof. This article has been brought to you by American Building Components. Its facts and opinions are those of BobVila.com.